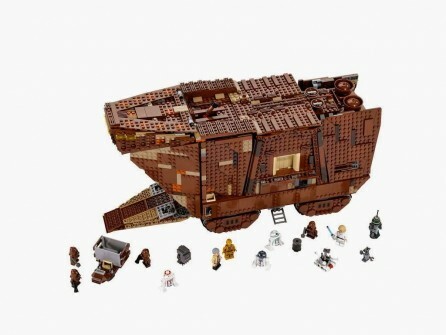 For Back Order Only, May Take Another 2 Weeks or More For Delivery. 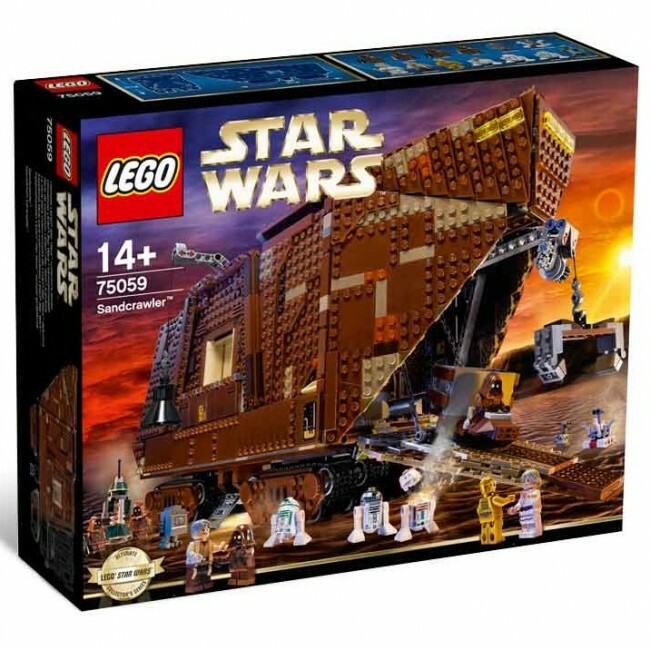 Please Call Us for Confirmation. 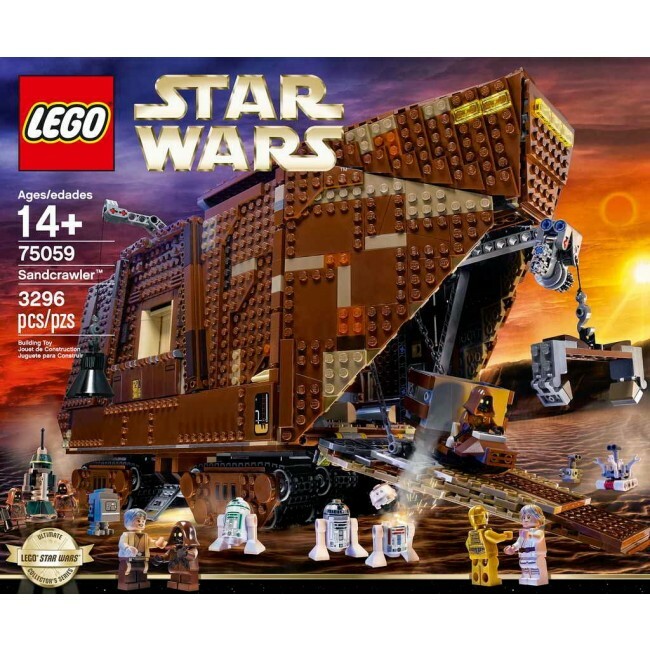 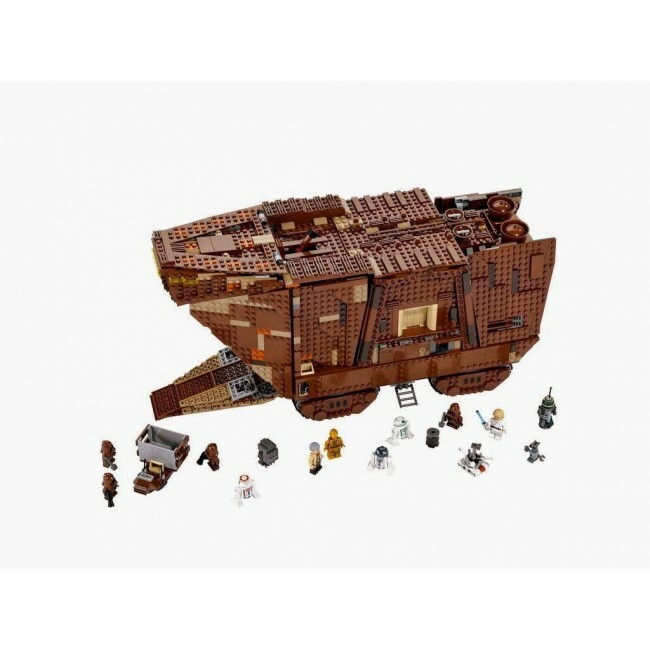 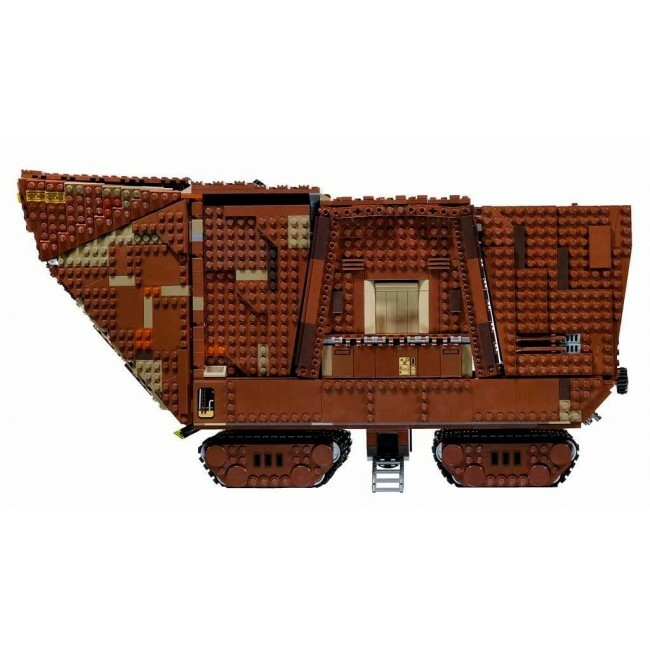 Recreate unforgettable scenes from Star Wars: Episode IV A New Hope with this amazing LEGO® incarnation of the Jawas’ desert-going vehicle, the Sandcrawler™. 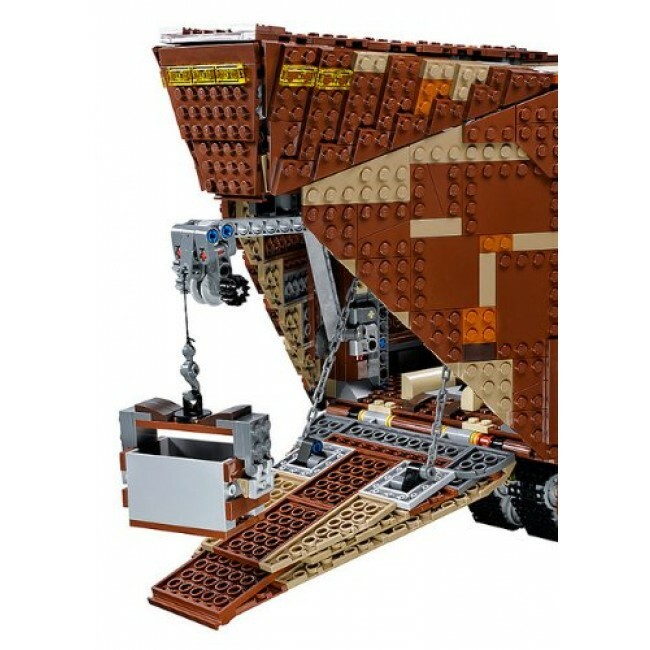 Turn the knob at the rear and steer the Sandcrawler into position, lower the front ramp and offload the droids using the 2 working cranes. 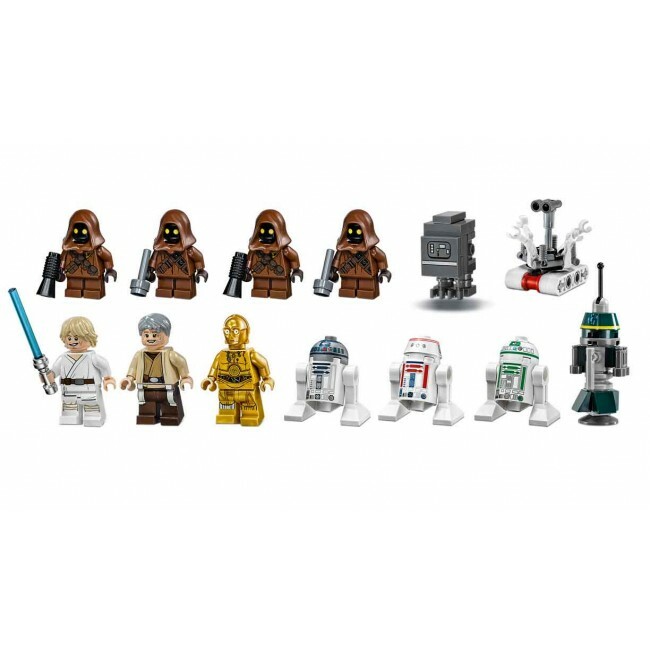 Luke Skywalker™ and his Uncle, Owen Lars, are sure to be impressed with the selection on offer: there’s R2-D2, an R1-series Droid, an R2 unit, R5-D4™, a Treadwell Droid™, Gonk Droid™ and even C-3PO™. 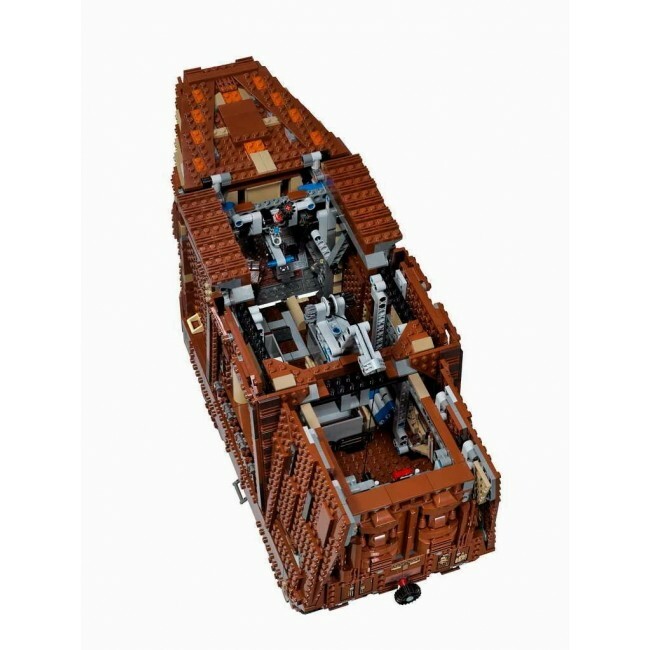 When the sale is complete, lift the side panels and top to reveal more great features inside, like the engine, storage bay, cockpit and more. 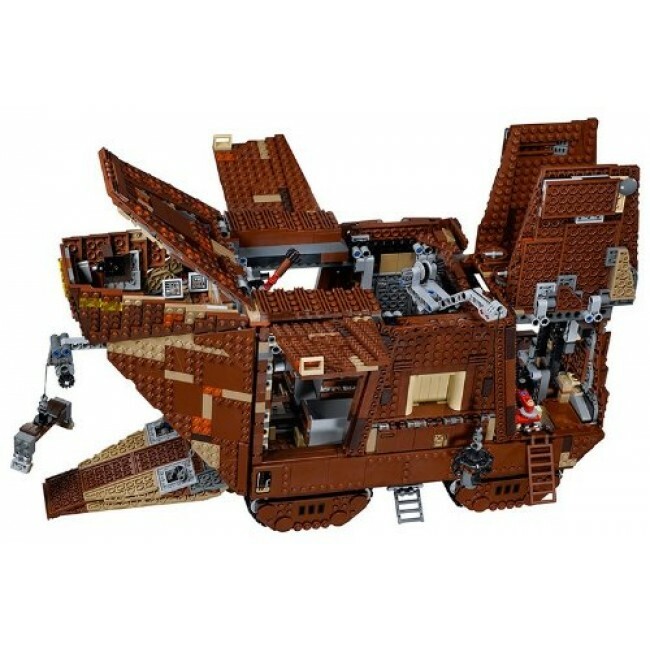 There’s even a speeder bike for when the Jawas need to venture outside.